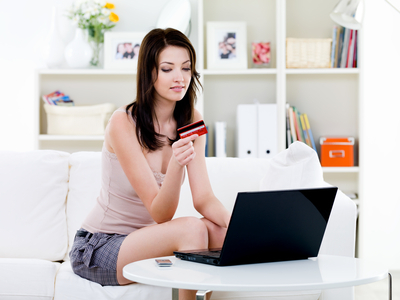 Social media has changed the way we shop online. Consumers are receiving advice from friends and family and businesses through social networking sites and the majority rely on feedback from social media to guide their purchases via researching online product reviews on blogs, Youtube, Twitter and Facebook. Social Commerce Psychology of Shopping (Infographic). "Social commerce is a subset of electronic commerce that involves using social media, online media that supports social interaction, and user contributions to assist in the online buying and selling of products and services. More succinctly, social commerce is the use of social network(s) in the context of e-commerce transactions". Read the full definition of Social Commerce here. Mashable report that "the shift from e-commerce to s-commerce has only just begun and reports that revenues from social commerce are expected to reach $30 billion by 2015". To help understand how to get social commerce right, take a look at four startups that are making e-commerce social right now. Integrate the social networks with your site ie: 'claim this offer on Facebook'. Consider how your products are found in social media, web and mobile. Identify the demand for products, by using social networks and social media research tools. Acquire customers from social networks by engaging within the networks. Could you offer more online gifting options? Consider whether you and your customers would benefit from Geo location offers. Review your customer retention plan in the age of customer reviews and comparison sites. Gain an understanding of your impact and publicise it for ROI. We all continue to watch social commerce trends with interest. Last year Rocktime set up an internal steering group to grow our e-commerce website solutions for social commerce further. Back in July 2011 this blog had a sole focus on social commerce, for more information on social commerce view the social commerce blog posts here. Are you making the most of Social Commerce opportunities on and off your website. Talk to our sales team today to help you determine your room to grow. Also if you find a website that is doing a great job with social commerce interactions on and off their website, feel free to leave a comment below.